Sarah grew up in the Aspen Valley. Attending school in Glenwood Springs and playing on her family’s ranch in Carbondale Colorado. Sarah’s family has had a furniture store in Glenwood Springs since 1978 so Home Staging and Interior design was in her blood from day one. She started out designing and redesigning dollhouses as a child and couldn’t wait to design the “real ones” when she grew up. After moving to Northern Colorado for school she knew she found the place in Colorado she wanted to be. Sarah has successfully staged hundreds of homes in Northern Colorado. Her staging has helped agents and homeowners sell their properties faster and for more money than expected. She has successfully designed everything from a mercantile/general store in the country to corporate office spaces in Denver’s trendiest neighborhoods and everything in between. When Sarah is not designing or staging she loves to explore everything this amazing state has to offer with her husband Josh and goldendoodle Benji. 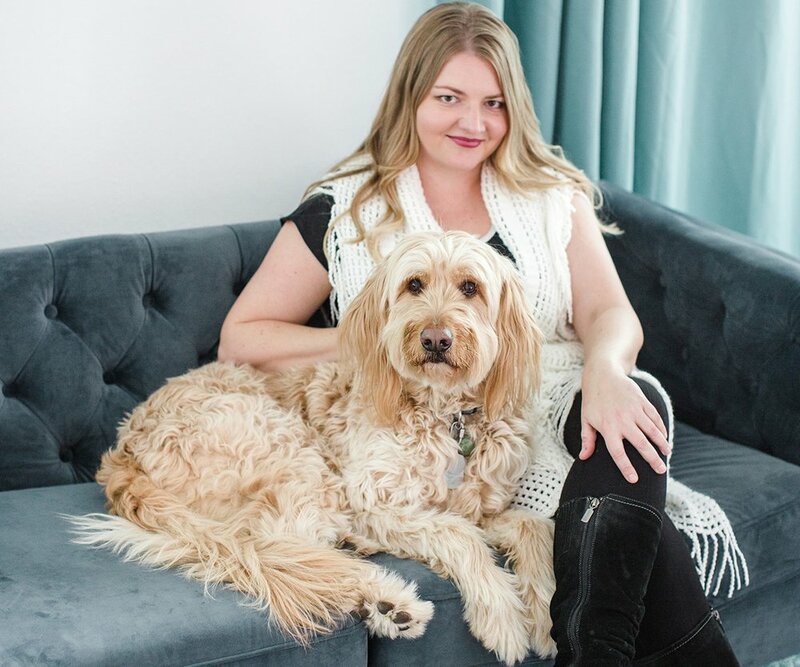 Sarah Beck, President and Founder of Hayven Design with her adorable goldendoodle Benji.